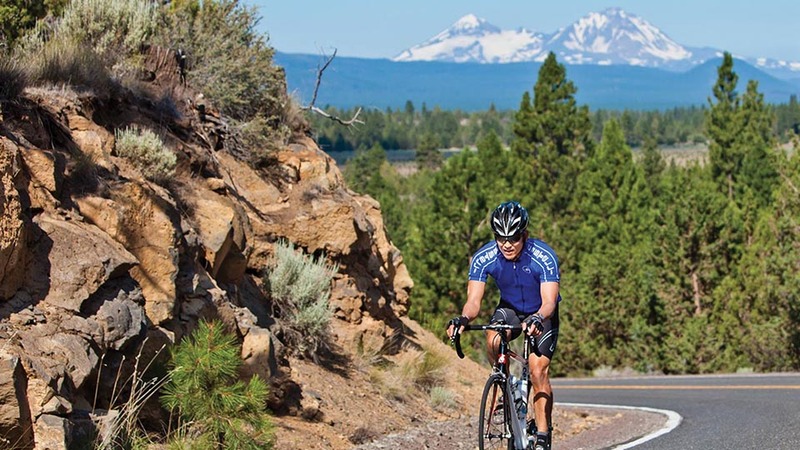 If you’re in Bend and want to take a beautiful bike ride and explore Sunriver, this route is your chance to be efficient with your recreation. You’ll climb the popular Cascade Lakes Scenic Byway toward Mt. Bachelor through the Deschutes National Forest. From there you’ll roll through more ​Ponderosa pine forest, cross the river, and reach Sunriver at mile 35.5 where you can enjoy fantastic restaurants, shopping, or even surf a standing wave!